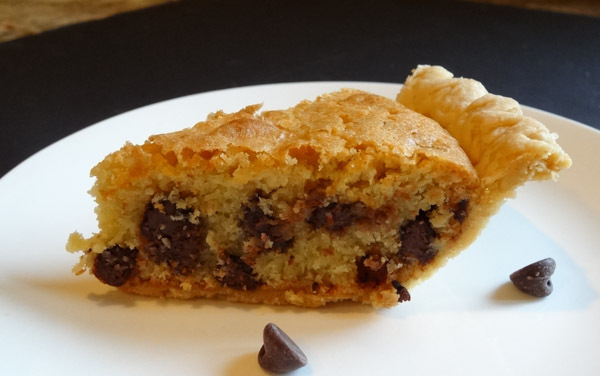 All the goodness of a chocolate chip cookie is baked into a flaky pie crust. Rich, gooey, and utterly delicious. I’m wondering why I haven’t tried this dessert sooner. 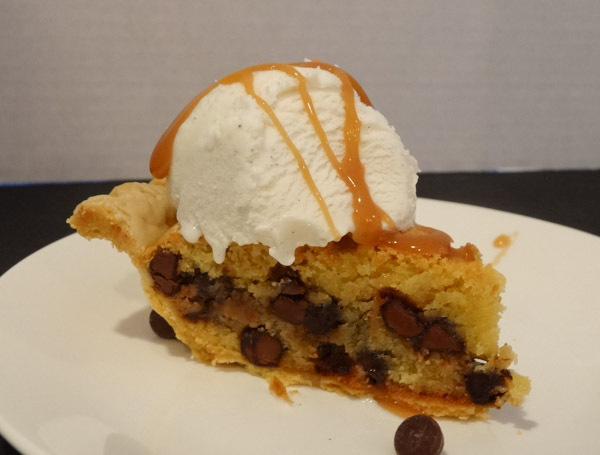 This chocolate chip cookie pie recipe has been around for ages and is super easy to make. It takes only a few minutes to make the batter and then it is poured into a ready made pie crust. This dessert was devoured by my family. It tastes best served warm with a scoop of ice cream or a dollop of whipped cream. I preferred the ice cream, but it’s all a matter of personal taste. This recipe is essentially the classic Nestle recipe with a bit of vanilla and salt added to the original recipe. I saw some recipes added more chocolate chips, but one cup is more than plenty to give you that chocolate indulgence you’re looking for. I made this recipe twice. The first time I made it, I only used a 1/2 cup of flour. I noticed when I used this amount of flour, the chocolate chips settled toward the bottom of the pie as it baked. I baked this for 55 minutes and this dessert taste like you’re biting into an under baked cookie. If you want it less gooey, I would recommend baking for 60 minutes instead. The second time I made this recipe, I used 3/4 cup of flour and the chocolate chips were more distributed throughout the pie. I also baked this version for 60 minutes instead of 55 minutes and it was less gooey. It seems like more people recommend underbaking this dessert versus overbaking. I think I like the addition of a little extra flour, but I would stick with baking to 55 minutes instead of 60. In large bowl, add in softened butter and both sugars. Blend with electric mixer for 2 minutes. Add in flour and blend just until combined. Fold in semisweet chocolate chips. Bake at 325 degrees F for 55 minutes. Remove pan to wire rack to cool for at least 30 minutes. Slice and serve with your choice of ice cream or whipped cream. Enjoy! 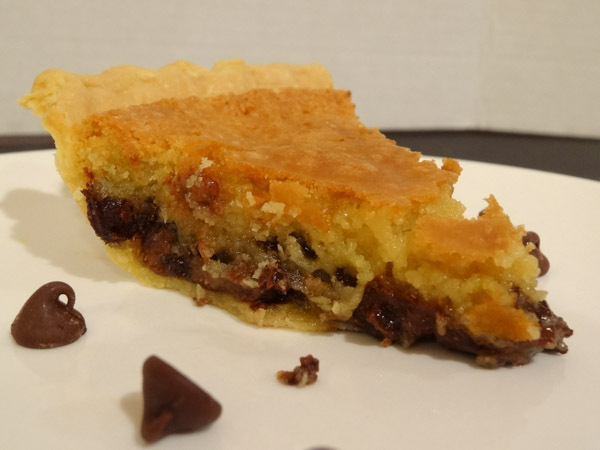 Chocolate Chip Cookie Pie has all the goodness of a chocolate chip cookie baked into a flaky pie crust. 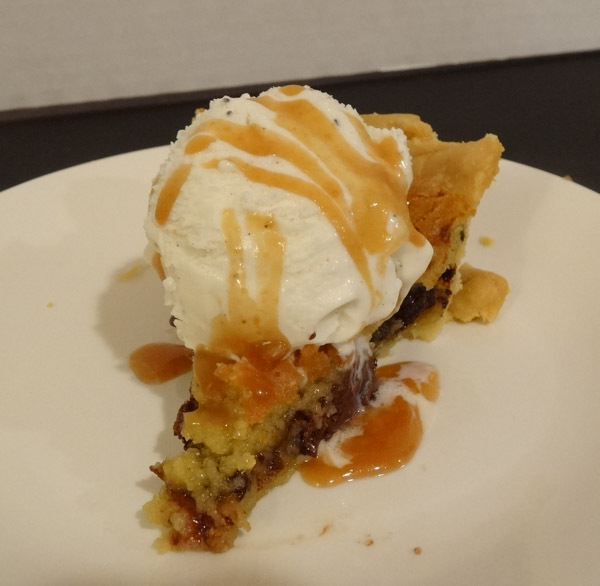 Rich, gooey, and utterly delicious! 2. 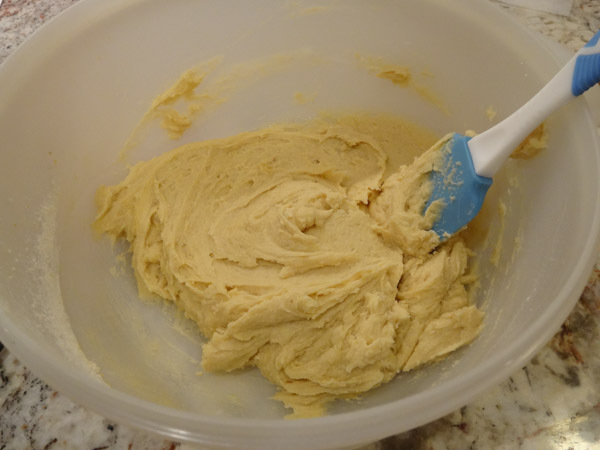 In large bowl, add in butter along with granulated sugar and light brown sugar. Blend with electric mixer on medium speed for 2 minutes. 3. Add in eggs and blend until combined. 4. Add in vanilla extract, salt, and flour. Blend with electric mixer just until combined. 5. 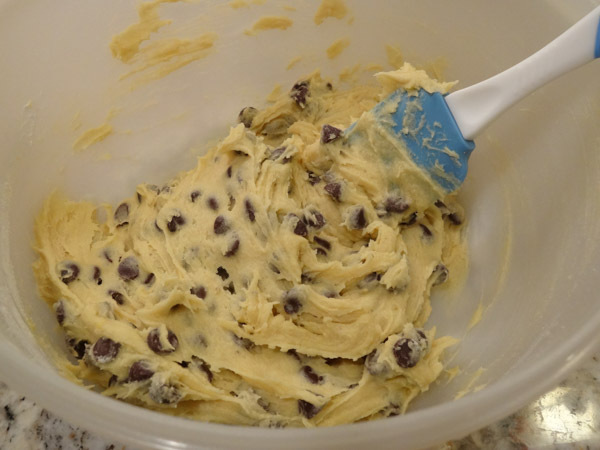 Fold in semisweet chocolate chips. 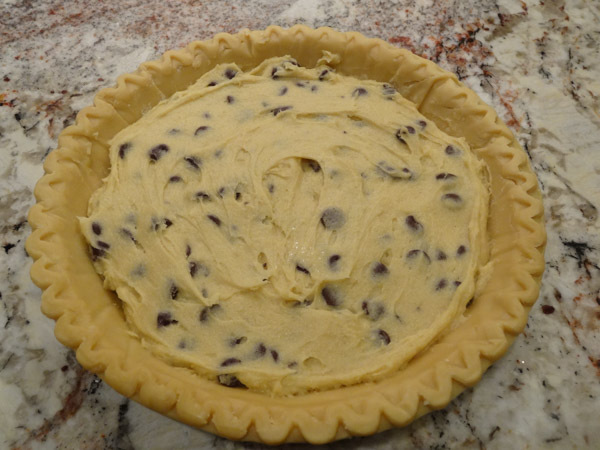 Spread cookie batter into 9-inch unbaked deep dish pie crust. 6. Bake at 325 degrees F for 55 minutes. 7. 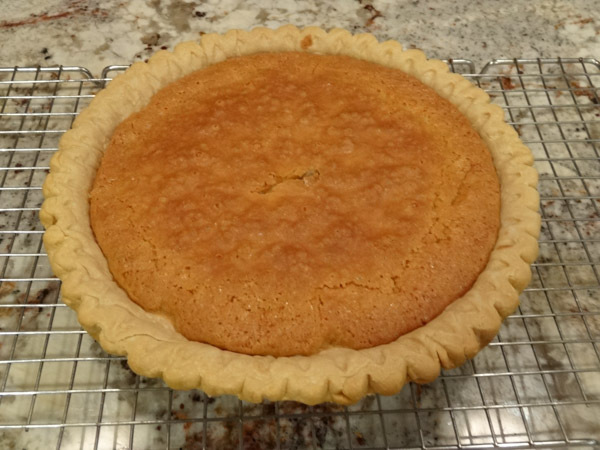 Let pie cool on wire rack for 30 minutes. Slice and serve.